The Buldhana Lok Sabha seat has 17.45 lakh voters. Muslims account for 2.23 lakh; Dalits 2.30 lakh; Malli 2.44 lakh; Marathas and Kunbhi together 5.5 lakh. The rest of the voters are Banjaras, Brahmins, Rajputs and Jains, among others. The NCP appears to have an edge in the Buldhana Lok Sabha constituency in Western Vidarbha with winds of anti-incumbency blowing against Shiv Sena’s sitting MP Prataprao Jadhav. The NCP candidate from the seat is Rajendra Bhaskarrao Shingne, a former state minister for health and family welfare. Jadhav is a two-term MP. Buldhana is among three constituencies in Western Vidarbha going to polls in the second phase on April 18. The other two seats are Amravati and Akola. 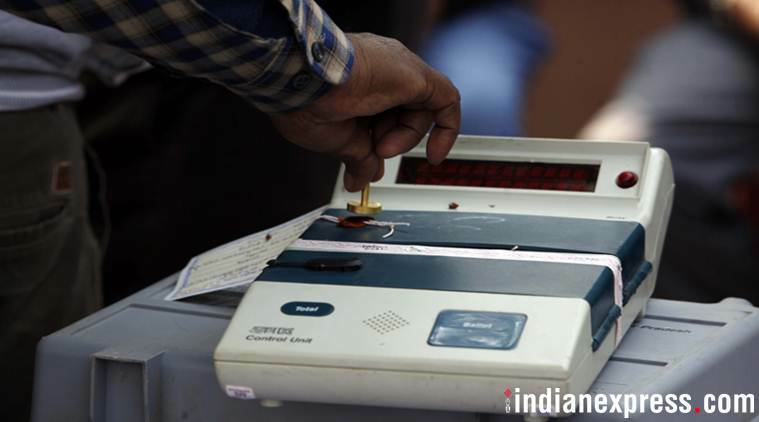 Voting for seven seats in Eastern Vidarbha took place in the first phase on April 11. Jadhav admitted that there is some degree of anti-incumbency but he is not worried. He said he was confident that he would sail through to victory on the development work done by Prime Minister Narendra Modi. In fact, the Shiv Sena’s campaign in the constituency entirely revolves round Modi. “The strategy is to engage voters on national security issues and take the focus away from anti-incumbency,” a Sena source said. Jadhav plays down anti-incumbency. “There are 1,260 villages in my constituency. Now, an MP has to attend Parliament in Delhi and standing committee and Sena meetings in Mumbai. It’s not possible to address the aspirations of everyone. At the same time, people should realise that maximum development works – Rs 1,800 crore worth of infrastructure projects and Rs 6,000 crore worth of irrigation projects – were possible in the last five years in Buldhana under the Modi government. At present, half-a-dozen national highway projects are in progress. The Samruddhi Mahamarg project is a boon for Buldhana. Of the total 710 km, 87 km passes through our Lok Sabha seat,” he added. As one hops from one Assembly segment to another across the drought-hit district, one comes across posters of “Vote for Modi, Vote for India”, part of the Sena campaign. Anti-incumbency is not the only factor weighing against Jadhav. Local Shiv Sena members accuse him of high-handedness and failure to keep the Buldhana unit together. They pointed out how former MLA Vijayraj Shinde, who has considerable goodwill in Buldhana, was sidelined affecting the morale of Sainiks. As polling day draws near, both the Sena and NCP are hoping that the Vanchit Bahujan Aghadi (VBA) would help eat into the vote share of their rivals. The VBA has fielded Baliram Shiraskar, who represents the Malli community. Shiraskar is a sitting MLA from Balapur Assembly constituency in neighbouring Akola district. While some dismiss him as an outsider, both the Sena and NCP believe that he will cut into Dalit, Dhangar and Malli votes. Shiraskar, however, believes he is not in the field to divide votes. They are seeking the votes of the oppressed and neglected, he said. The NCP had senior leader Chhagan Bhujbal holding rallies in the Malli-dominated pockets in Buldhana. Further, to counter VBA’s support among Dalits, NCP leaders claimed they have elicited support from 200 RPI(A) office-bearers and workers in Buldhana. Both Jadhav and Shingne belong to the Maratha community. In the 2009 Lok Sabha elections, Shingne and Jadhav fought against each other. Jadhav defeated Shingne by 30,000 votes. In 2014, the Modi wave saw Jadhav sweep the polls with more than 1.80 lakh votes. The NCP candidate against him was Krishnarao Ingle. “Today, people are upset with the Sena because of its apathy to people’s problems in Buldhana. The Sena got 10 years to represent Buldhana at the Centre. But they could not bring a single project to the district,” Shingne claimed. Of the six Assembly seats in Buldhana Lok Sabha constituency, Sindkhed Raja and Mehekar are held by the Shiv Sena. The BJP represents Khamgaon and Jalgaon-Jamod, while Congress has Chikhali and Buldhana. The NCP does not have a single Assembly seat.